MWA will be taking a break from the 23rd of December till the 5th of January. We hereby alert you to the fact that Miss Completely's days are numbered. Rather than she disappear and die suddenly, like Oxford Art Supplies, please take this opportunity to say goodbye and make your peace with her. An offering in the form of flowers, some good whips or rope, or even a horse shoe may help her into the next life. This recent concept was developed with Gallagher Studio. The rain lantern is an urban marker intended to work at the metropolitan scale of the city. Sited within and to be developed in tandem with, a new park, adjacent to a major motorway, the marker will broadcast rainfall statistics via the colour and height of it's lantern. If up high and orange- don't water the lawn and have a quick shower! Kids play within the space. A forest frames the path and the views. The lantern reads thru and above the tree line. The lights are going up on Crown St Mall! In association with Turpin and Crawford Studio and Hassell, MWA has been named the preferred Tenderer for the North West Rail Link Project. 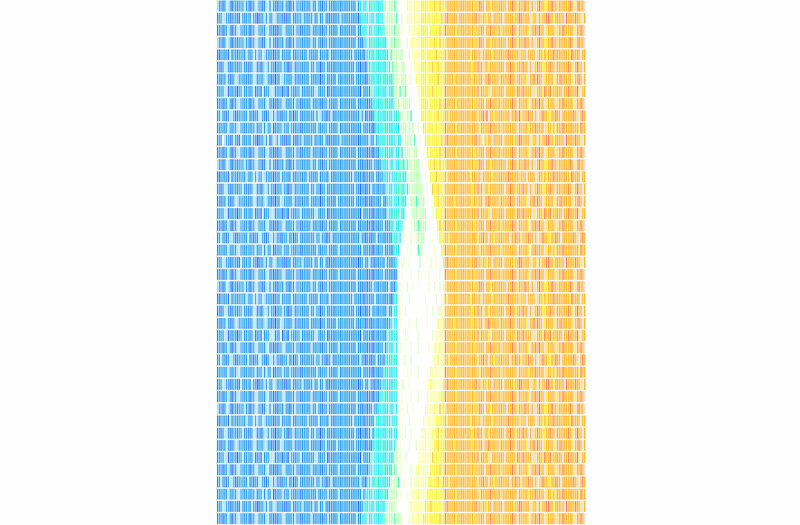 The central idea of the Parrametre is that it encapsulates and records the tidal movement and the history of flood levels along the river, as well the ever changing diurnal tidal levels. 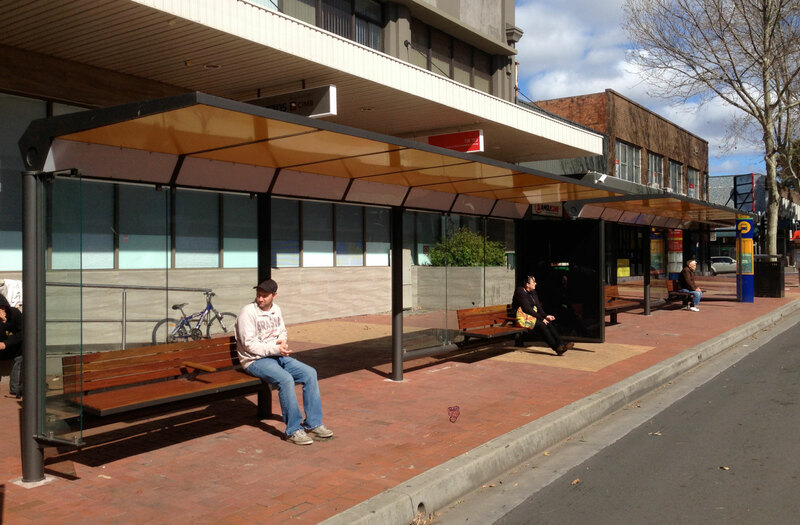 We have designed a series of bus shelters for the Council that can be distributed along the street in varying modules according to need. 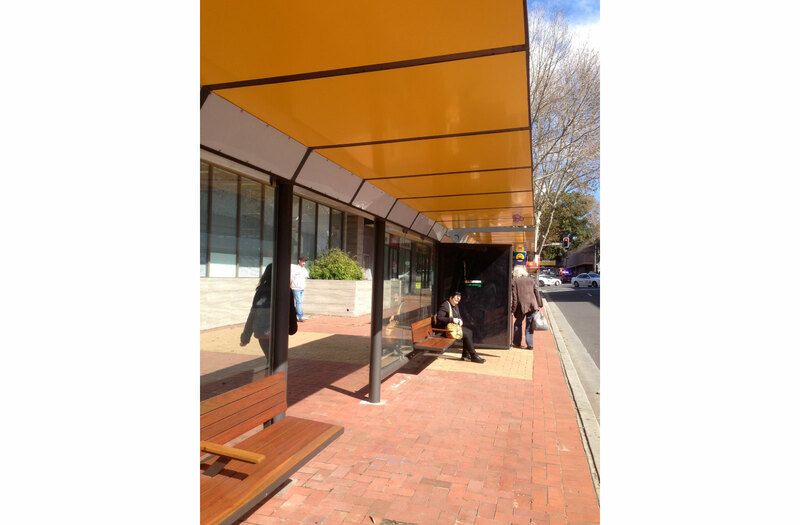 The golden yellow soffit is to be under lit creating a rich beacon like element in the street. A great opportunity to design a corner block on Anzac Parade. The challenge is to get the building to work at a scale commensurate with the street and the corner, whilst maximising the amenity of each of the apartments. The newly completed Station has been given a simple and broad "facelift"! A glazed brick datum is laid out along the breadth of the station facade, creating a unifying horizontal across the 2 station walls, inside and outside the entry spaces. The bike rack is a great overlay, a barometer of those gone to work.